"Introduction starts with the overwhelming reference of somatic semantics that as such have a certain calling - calling to introduce your own human construct as a vessel for research and not necessarily to be researched. 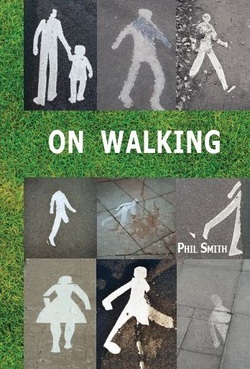 Phil Smith... serves a dish of captivating journey which you can follow in an (un)linear way and the key to that follows through your own individual way of exploring it. Hence the fact that the multi-layered guidebook on how to find the meaning of the journey is effortlessly erratic (?) in a tempting way to lose yourself acertained by the magnitude of eloquence that is suffice to say very impressive. ...The analogue self-updating vessel of finding stories, references in left-overs, self-references thoughts and ramblings, eruditive wireless globe of microcosms found both in a verse and a puddle, in a found toy or a visage that appears behind the shadow of every-day routine of repeated paradigms of un-scholastic street gnosis, well-trodden paths of silenced movements, not daring enough to create a symphony about it but intriguing enough to make a personal landmark in a pursuit of symbolic understanding. Given the fact that the layout of the book is so dense - it's definitely a wonderful read to follow on your own and encourages to self-expressed intuitive trail of...(...)"